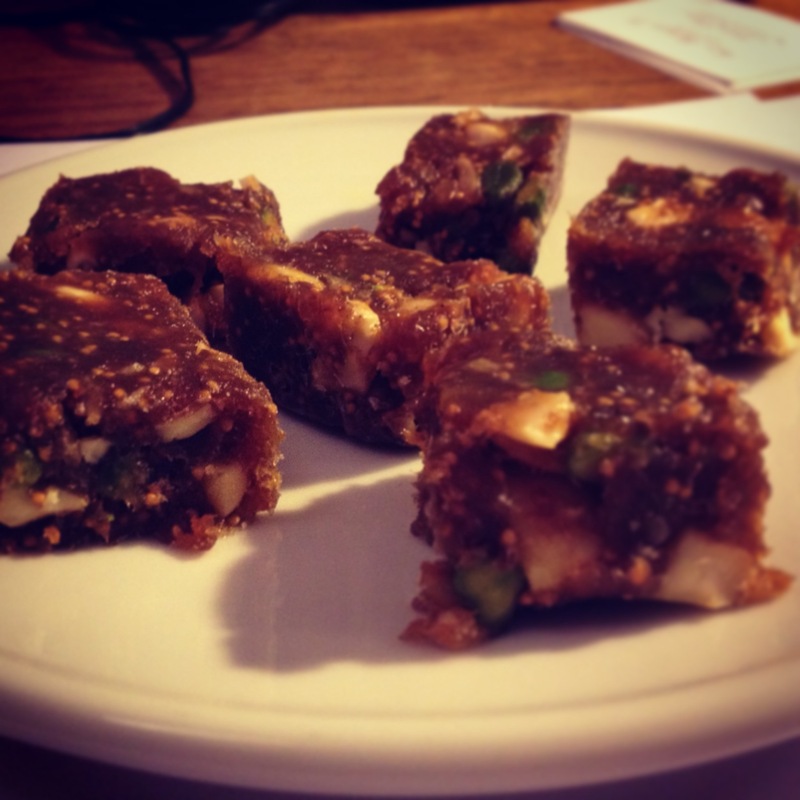 On a trip to the Middle East we tasted some delicious fig barfi sweets.. Unfortunately we lost the box of sweets so I didn’t get to see the list of ingredients.. I returned to Europe, still thinking of these small pieces of heaven, so I decided to make my own paleo version. 120 g chopped mixed nuts, e.g. 1/3 of each of almonds, unsalted cashews and pistachios . Line a box (approx. 15x20cm) with kitchen film and grease it with some ghee or coconut oil. Add movie in an approximately 15x20cm box and grease it with a little ghee / oil. Cook the figs, covered in water, for about 7 minutes , stir occasionally. Drain them of water and puree them in a blender. Melt the oil in a pan fry the fig puree gently for approx. 5mins. Stir occasionally. Let them cool down and then add the chopped dates, nuts and spices. Mix well. Cool down a bit longer and then pour the fig mass into the box. Smoothen the surface with a wet spoon. Leave the box in the fridge until the mass is totally cold, then cut into chunks the a sharp knife. This entry was posted in Sweet on 06/12/2013 by tine.